The Bible is both a divine and a human book. It is the inspired word of God for his people, whether in biblical times or for the church today. It is also a fully human book, written by different people in a variety of cultural settings. Knowledge of biblical language and society is essential if the meaning of the human writer is to be grasped fully. The Apollos Old Testament Commentary aims to take with equal seriousness the divine and human aspects of Scripture. It expounds the books of the Old Testament in a scholarly manner accessible to nonexperts, and shows the relevance of the Old Testament to modern readers. 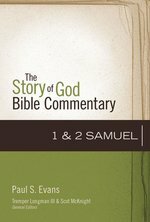 This commentary begins with anIntroduction, which gives an overview of the issues of date, authorship, sources and so on, but which also outlines more fully than usual the theology of 1 & 2 Samuel, and provides pointers toward its interpretation and contemporary application. The annotatedTranslation of the Hebrew text by the author forms the basis for the subsequent commentary. TheForm and Structure section examines the context of a passage, its use of rhetorical devices, and source and form-critical issues. TheComment section is a thorough, detailed exegesis of the historical and theological meaning of the passage. TheExplanation--the goal of the commentary--offers a full exposition of the theological message within the framework of biblical theology, and a commitment to the inspiration and authority of the Old Testament. Written by an international team of scholars, the commentaries are intended primarily to serve the needs of those who preach from the Old Testament. They are equally suitable for use by scholars and all serious students of the Bible. The trauma of the destruction of Jerusalem and the temple, the exile of thousands of Judea's citizens, and the subsequent return after seventy years to the homeland with the difficult task of starting the new covenant community virtually from scratch-- all contributed to a reassessment of Israel's meaning and destiny. 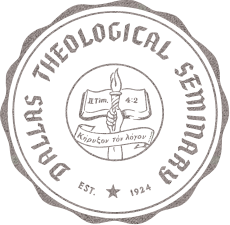 The chronicler-theologian thus composed his work not just as a history of his people from their ancient beginnings but as an interpreted history, one designed to offer hope to the beleaguered community as well as to issue warnings that should they fall back into the ways of their fathers they could expect the judgment of God to be repeated. 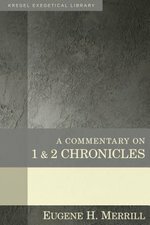 Eugene Merrill's work on 1 and 2 Chronicles promises to be a significant contribution to the academic dialogue on these important books. This volume is helpful for the scholar but accessible and useful for the pastor. Merrill provides an exegetical study of each passage in these books, examining a number of themes, especially drawing out three principal theological subjects: (1) David and his historical and eschatological reign; (2) the renewal of the everlasting covenant; and (3) the new temple as a symbol of a reconstituted people. Merrill offers astute guidance to preachers and teachers in his insightful doctrinal commentary on the text. The Chronicles are more than a history of ancient Israel under the ascent and rule of the Davidic dynasty. They are a story whose grand theme is hope. Great battles are fought, heroes and tyrants vie for power, Israel splits into rival kingdoms, and the soul of God's holy nation oscillates between faithlessness and revival. Yet above this tossing sea of human events, God's covenant promises reign untroubled and supreme. First and Second Chronicles are a narrative steeped in the best and worst of the human heart--but they are also a revelation of Yahweh at work, forwarding his purposes in the midst of fallible people. God has a plan to which he is committed. Today, as then, God redirects our vision from our circumstances in this turbulent world to the surety of his kingdom, and to himself as our source of confidence and peace. Exploring the links between the Bible and our own times, Andrew E. Hill shares perspectives on 1 and 2 Chronicles that reveal ageless truths for our twenty-first-century lives. Most Bible commentaries take us on a one-way trip from our world to the world of the Bible. But they leave us there, assuming that we can somehow make the return journey on our own. They focus on the original meaning of the passage but don't discuss its contemporary application. The information they offer is valuable--but the job is only half done! The NIV Application Commentary Series helps bring both halves of the interpretive task together. This unique, award-winning series shows readers how to bring an ancient message into our postmodern context. It explains not only what the Bible meant but also how it speaks powerfully today. Preaching's Preacher's Guide to the Best Bible Reference for 2014 (Old Testament Commentaries) The books of 1 and 2 Kings cover the history of Israel from the last days of the united kingdom under David to the eventual fall of the kingdoms of Israel and Judah. Within these books, the deuteronomic code - 'doing what is right in the Lord's sight' - provides a framework by which monarchic history is measured. In the kings' cultic failures lies the apostasy of the nation and its eventual exile. This apostasy centres on Israel's commitment to worship YHWH exclusively, and to worship according to deuteronomistic norms within the Jerusalem temple as the locus of YHWH's covenant presence. To safeguard the kings' commitments, YHWH's prophets loom large in 1 and 2 Kings: they herald YHWH's purposes, warn of his judgment for apostasy and woo his people back to the full experience of covenant life. Lissa M. Wray Beal's valuable commentary examines the successes and failures of monarchy in the divided kingdoms. It works with the final form of the biblical text and pursues historiographical, narrative and theological questions, including the relation of each chapter's themes to biblical theology. While it focuses on theological and narrative concerns, the commentary gives due attention to complex historical issues. It seeks to provide a nuanced reading that is faithful to the text's message. 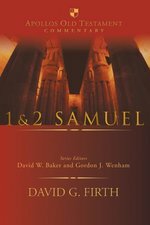 Readers of 1 and 2 Kings commonly approach these books as a straightforward chronology of post-Davidic Israel: the inauguration of Solomon's reign, the division of the kingdom following his death, and Israel's and Judah's ensuing kings, conflicts, captivities, and overarching spiritual decline. In reality, however, the books of the Kings fall into the collection known as the Former Prophets, and their true story and underlying theme center on such striking personalities as Nathan, Elijah, Elisha, and other divinely appointed spokesmen. It is God's interaction with his people by way of his prophets and their kings--his pleadings, his warnings, and the fulfillment of his words--that comes across again and again with forcefulness and clarity. God speaks; now will his people hear, believe, and respond? The question is as relevant for us today as it was for the ancient Israelites. Bridging the centuries, August Konkel connects past context to contemporary circumstances, helping us grasp the meaning and signifance of 1 and 2 Kings and take to heart their message for us today.Most Bible commentaries take us on a one-way trip from our world to the world of the Bible. But they leave us there, assuming that we can somehow make the return journey on our own. They focus on the original meaning of the passage but don't discuss its contemporary application. The information they offer is valuable--but the job is only half done!The NIV Application Commentary Series helps bring both halves of the interpretive task together. This unique, award-winning series shows readers how to bring an ancient message into our postmodern context. It explains not only what the Bible meant but also how it speaks powerfully today.